In my pursuit of love [in line with my verse for 2015 ~ 1 Corinthians 14:1 "Pursue love..."] I have been looking for more ways to let my husband know I love him and I'm supporting him in all he does. This has involved simple daily things like getting up a bit earlier to make his lunch and thinking about how to make it more interesting than a repetitive cheese sandwich, as well as more one off things... 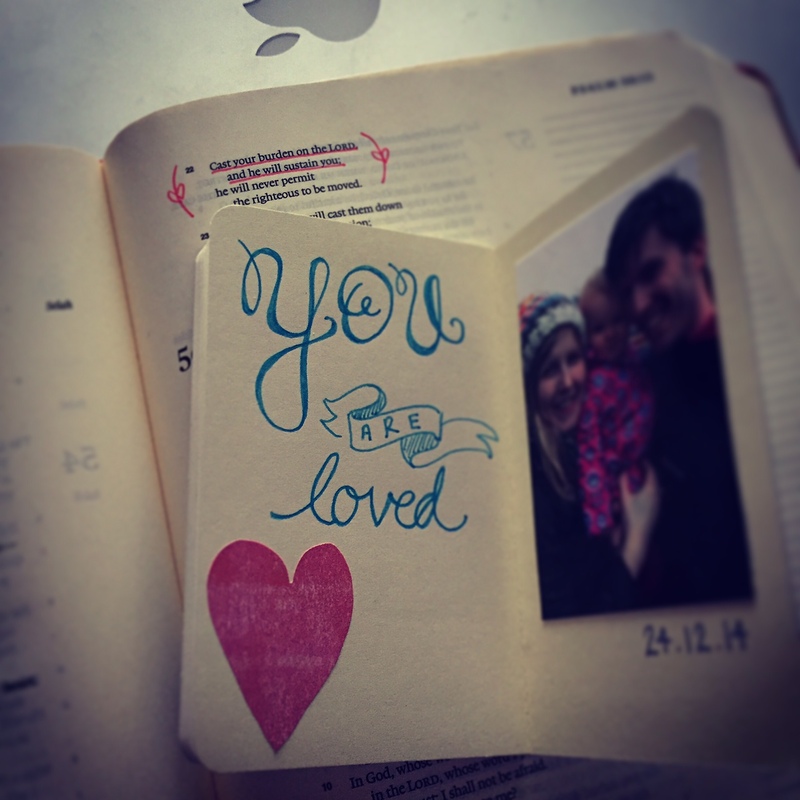 The most recent of which was making him a little book of encouragement for his business trip this month. 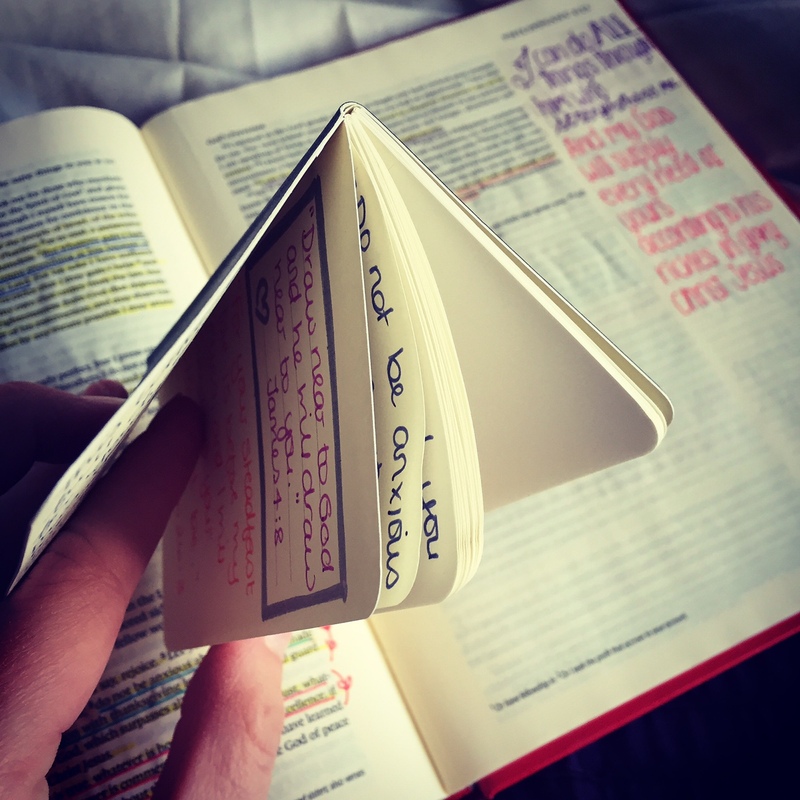 I bought one of those tiny Moleskine notebooks and flicked through my journaling Bible [my BIG book of encouragement] pulling out 30 encouraging verses to fill it with. So he now has an arsenal of memory verses without having to remember them!